Sony Xperia Z Ultra review | What Hi-Fi? 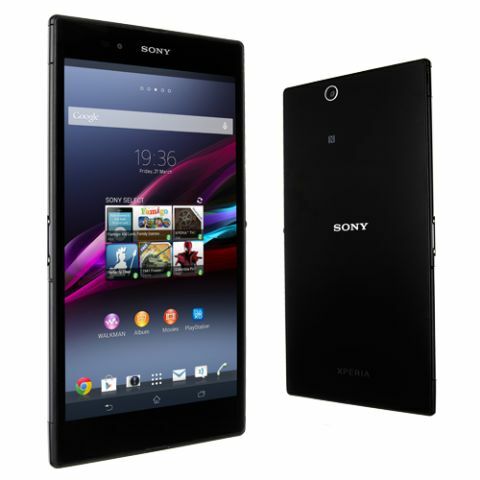 If you want to push the boundaries between phone and tablet, then Sony’s Xperia Z Ultra has to be a serious contender. With its 6.4in screen, it’s hard to think a device of this ilk can get much bigger without being a fully-fledged tablet. If you thought the Samsung Galaxy Note 3 was big, this is massive. As the largest phablet on the market, the Z Ultra is a great compromise for those wanting the best of both worlds. However, it certainly feels on the large side for using day-to-day as your main phone – we’d challenge you to hold this up to your face for a call and not feel a bit silly. It’s slim though; at 6.5mm it’s the slimmest phablet we’ve tested. This makes it just about possible to squeeze it into a pocket – though skinny-jeans wearers need not apply – and while it’s comfortable to hold in one hand, you’ll need both free for the most part. Once you get over its size, the overall design is nice. It follows the likes of Sony’s more recent handsets with its angular styling and glass panels front and back, with the added bonuses of waterproofing and dustproofing. Sony’s Android skin is one of our favourites out there, largely keeping things clean and simple. All of Sony’s services are, of course, present and correct, but you’ll also find – among others – apps such as Sony Select for download suggestions, OfficeSuite for document creation and Sony’s TV Sideview companion app. Sony makes the most of those large dimensions – unlike some – allowing for six icons in the dock. It’s also the only phablet we’ve tested that offers landscape use throughout its menus. Of course, the big draw for a device with a screen this size is the video playback. While colour balance is good, supported by decent blacks and bright whites, it looks like a TV with the sharpness turned way up, except here there’s no way of turning it down. The big screen also proves to be quite the battery-sapper too, coming out the worst in our battery test and dropping 28 per cent during a two-hour film watched at 50 per cent brightness. When it comes to the 8-megapixel camera, Sony seems to have taken the route of tablet manufacturers and afforded it less consideration than other features. For a start, there’s not even a flash, making the Z Ultra virtually useless in low light. Even in good light, shots can appear washed out and noisy. We’ve praised Sony’s more recent handsets for the way they handle music, and the Z Ultra runs along the same line. As long as you can afford it some careful headphone pairing, it’s one of the best-sounding phablets out there. Even in this phablet category, we can’t help but feel the Xperia Z Ultra’s size pushes the boundaries of practicality a touch too far. While it’s great as a mini tablet, using it for phone-shaped tasks just feels too unwieldy. Even if its size does appeal, its poor video performance takes away one of the putative advantages of its USP in one fell swoop. And while music fares better, its camera is a disappointment too.